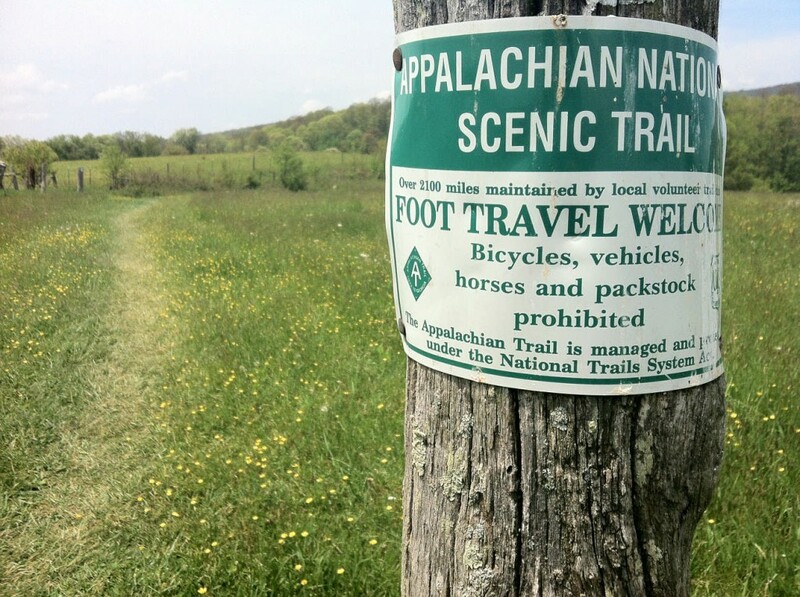 Well, after one week of hiking I can safely say that The Appalachian Trail is amazing and, in parts, totally not what I was expecting. Firstly, the weather is hot! Not the cold, misty mountain tops we had all been expecting but instead we have temperatures in the mid 20’s and a little humidity which makes us, and out gear, a little clammy. The trail dips and dives like a roller coaster, taking a far more direct route up the peaks than the switchbacks I was familiar with on the PCT. I have taken things easy this first week, doing no more than a 12 mile day at best and most of the time sticking to around 10 miles. 7 days later and I’ve clocked 70 miles, by no means breaking any records but this is exactly what I intended to do, mainly to stop any blisters before they start and so far, this is working. I am walking with a good group of hikers, namely Daffy Duck, Phil, PJ, Josh and a few others that we pass or stay with each day. Everyone is taking the first week, and probably first month easy, breaking our bodies in gently and allowing them to become accustomed to the task we are asking of them. I have not become complacent, nor will I. Many previous AT hikers I have spoken with have given me the same advice, namely just because I have walked the PCT does not mean I will find the AT easy, and they’re right. We pass several three sided wooden shelters each day. The sleeping platform gets filled up quickly with hikers eager to get out of any possible thunderstorms which rear up over us some afternoons. Often we watch them from a hill top, black, menacing clouds raging war a few miles distant, we see the lightning at night and we hear the thunder shortly after. Many were caught out once, sometimes more as we cower in our safe, little tents, sometimes water dribbles in from a forgotten, unprotected corner. The scenery, when we actually see it (we walk through wood and forest most of the time), is stunning. Hundreds upon hundreds of square miles as far as the eye can see with not a man made blot anywhere. 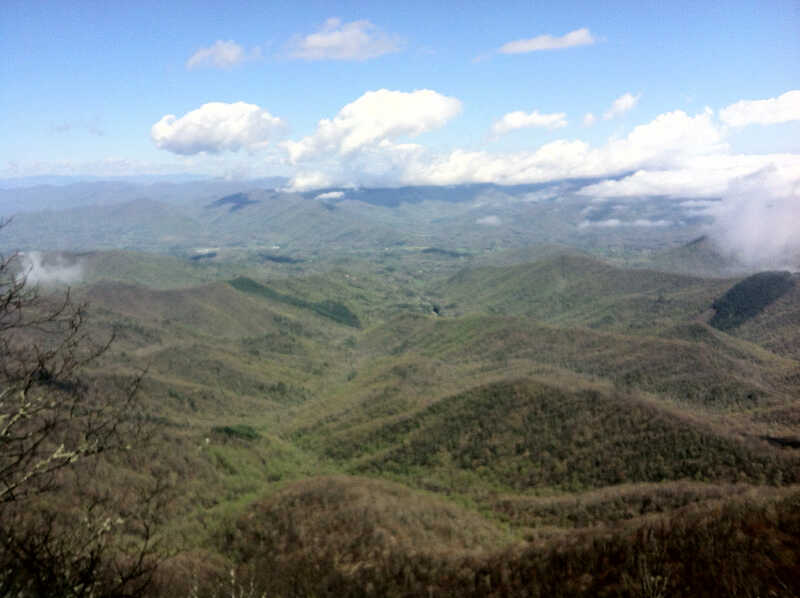 Hundreds of hills bubble up like a multitude of umbrellas, the lower lands speckled with a thousand shades of green. Gradually, the colours fade as they move up the hillside to be replaced with browns and greys. It’s an infinite blend of colour, constantly changing as the season progresses and Spring slowly moves up to meet us, one huge paint palette laid on by nature. Just a quick note to apologise for the lack of blog entries and details, including this one. As usual, I have been running into difficulties finding internet access and even more problems uploading photos and video. I have a laptop arriving that I intend to post up the trail ahead of me to use when I get into town and find a good motel with WiFi. I hope this sorts out the problem. 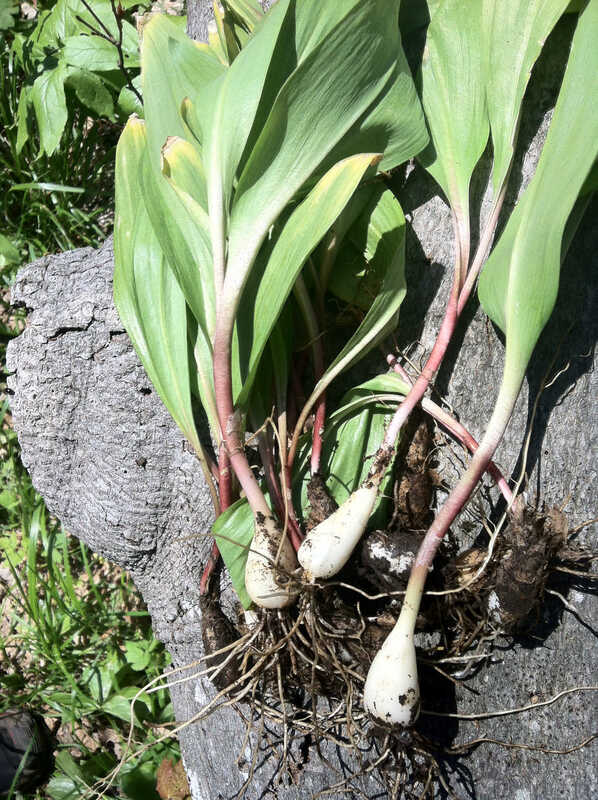 There is an elusive little creature in the Appalachian mountains. Daffy Duck saw it first, sitting in the middle of the trail getting some mid-day sun, we caught it by surprise. 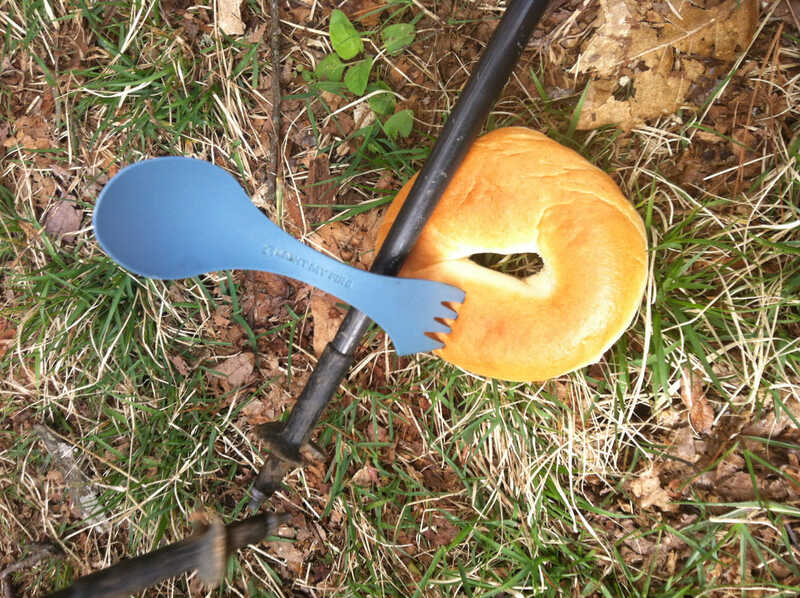 Apparently excellent eating, Daffy stalked the Wild Bagel for a good 5 minutes before unleashing a devastating trekking pole shot that went through the Bagels hole, capturing it helpless. Phill dispatched the critter with a swift fork through the brain, which is circular and runs around the top in a ring. Any incision with a sharp object results in a swift and painless kill. 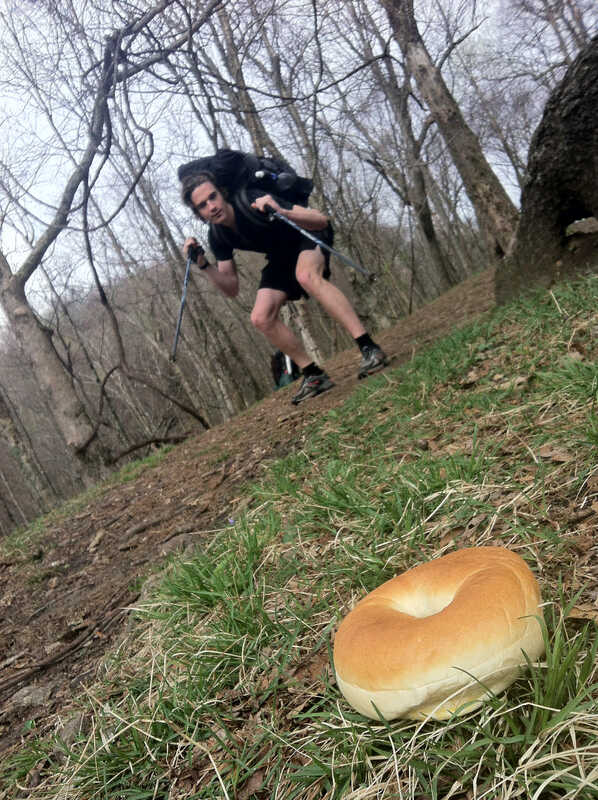 These wild bagels are excellent eating. Perfect with peanut butter, jam (or both), cream cheese. Sometimes we toast them over the fire in the evening and pray that someone has remembered the butter. On a more serious note, I am 137 odd miles in, having averaged around 10 miles per day, which is not much mileage but exactly what I had planned to ease myself in. I have been very lucky with blisters, just one small one as opposed to 6 on each foot after 2 weeks on the Pacific Crest Trail so I’m very happy. Over the next 2 weeks I plan to up the distance each day to around 15 to 20 miles and then coast along on 20’s each day with a day off each week. The Appalachian Hills are beautiful and mesmerising. I have not seen such a vast expanse of wilderness with no man made object or building to break up the view in some time and the amount of trees is staggering. Billions of them stretching away around us to the horizon in every direction, the AT is one, mammoth, green corridor leading up to Maine. The weather has been mixed, the first week surprisingly was very hot. It has chilled of of late and we are expecting good weather over the coming week but nights are down near freezing point, it’s far colder up in the mountains. Rain, thankfully, has been infrequent and I have only needed to walk for one morning in the wet. Thunderstorms bubble up in the afternoon as we watch them from a vantage point and try to guess which way they are going, or coming. Not many have trail names yet but myself, and a few others are on a mission to name our fellow hikers. A few have accepted our offers and now ordinary folk just out for a long walk are introducing themselves as ‘Kindle Ninja’, ‘Byline’ and ‘Daffy Duck’. A few, such as ‘Pink Bits’, are looking for something better. I am currently in a place called Roan Mountain staying at the Mountain Harbour Hostel having completed 391.1 miles, which is just shy of 20% of the trail. 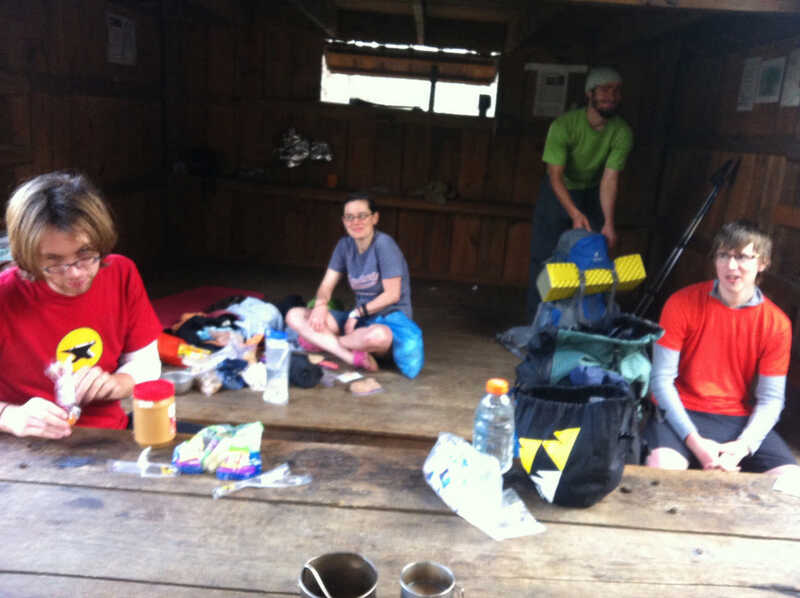 It’s a pleasant place, hikers congregate in the main barn and a few of us are tenting to keep the costs down. A sweet little creek babbles past, a couple of goats lock horns and the house dog demands constant attention. It’s a relaxing place to hang out. The trail is hard, constantly dipping and diving with steep climbs and descents making our lungs heave and legs scream for surrender. Spring has finally begun to take a hold down low but in the mountains where we spend most of our time, it is pleasantly cooler. Only last week, where I shot one video, we had snowfall overnight and below freezing temperatures but hopefully that was Winter saying a last goodbye. It’s green down in the lower elevations but higher up the leaves are still to emerge. Occasionally we build a fire in the evening to fend off the chill and mornings still demand an insulated jacket until we hit the first uphill where we peel off a layer and start to sweat as the day warms. Progress is slower than I would like but about what I expected. 20 mile days out here are good, even 15’s are respectable. I am up at first light, usually 06.30. Having made the decision not to cook first thing to save time, I drink some protein shake, wolf down some trail mix or similar, and am on my way by 07.15. Walking for 2 to 3 hours, depending on my target for the day, I then rest and eat some more. The same again to reach a lunch spot and then one more break in the afternoon before a final 2 hours. Usually I aim for a shelter. These simple, 3 sided wooden structures sleep anything from 5 to 20 people on a raised platform. They do get crowded; especially in bad weather and mice are a constant problem, not to mention snoring and the other noises inevitable when sleeping with that many other hikers. So, I usually pitch tent close by and enjoy the company in the evening whilst still having my own space to retreat to should I wish. One morning last week I opened my rucksack to pack for the day to be confronted by a mouse nestling in a fold of the material. He looked up at me bleary eyed, had a quick stretch, and casually climbed out to rejoin his friends. A favourite pastime, developed by myself and two other thru-hikers called Daffy Duck and Phill (no trail name yet) is known as ‘Privy Sitting’. A privy is another simple wooden structure used for those calls of nature. It’s no luxury, this is the middle of nowhere after all, three wooden walls with a hole and a pit underneath. We don’t have electric, piped water or flush handles. 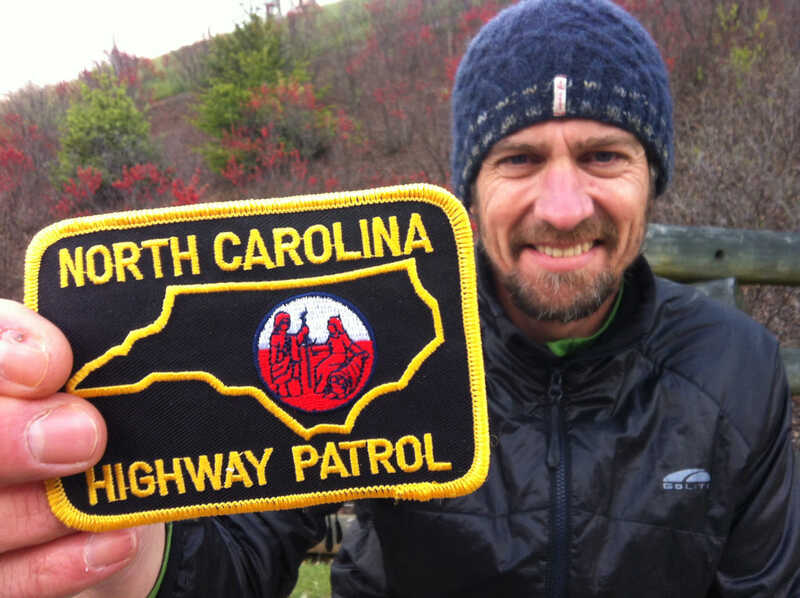 Daffy told me when I first met him that he intended to meet as many hikers as possible, not spending too much time with anyone in particular but to glean little bits of information from as many people as possible. We quickly discovered that privy sitting was the ideal opportunity to nurture this pastime. Most evenings someone occupies the privy and as the evening wears on and hikers succumb to the call of number 2’s, a constantly changing procession of individuals comes and goes. Providing the ideal chance for Daffy Duck to engage his eagerness to meet hikers, we have maybe five minutes to chat to each one of them. Just enough time to get an overview of where they are from, what they do, why they are here, occasionally interrupted by the inevitable noises one might expect from the privy. If we felt we had met someone interesting, then Daffy would choose to chat to them more over the following days or in the case of a few, not at all. 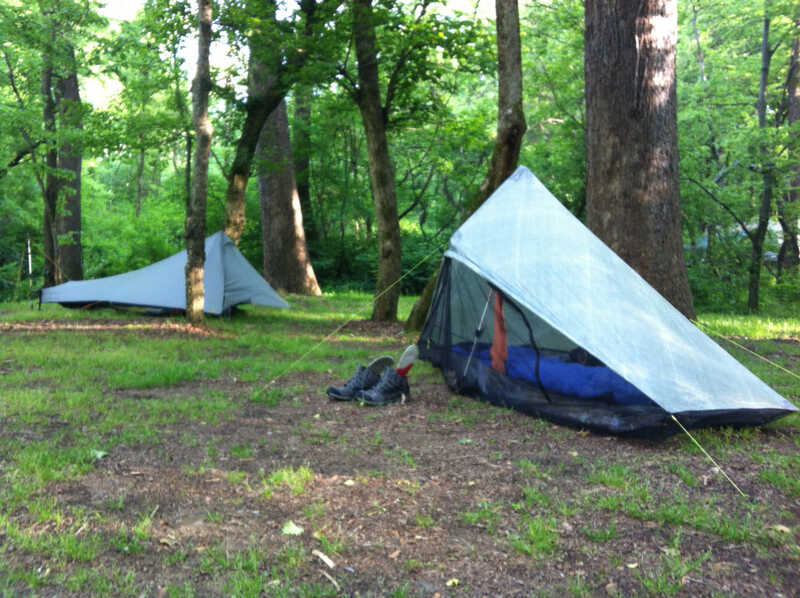 One particular evening at Blue Mountain Shelter, we were spoilt for choice with hikers answering the call of nature. Sat by the path leading down to said Privy, we talked to perhaps ten individuals. Jonathan was one of them who afforded us a couple of minutes, anxiously crossing his legs and wincing at the inevitable relief soon coming his way. As the click of the privy door was heard he rapidly jogged off for some relief. After five minutes he was still down there, the same after ten. After twenty minutes we were seriously considering sending out a search party but eventually he walked back up towards us. I was the first to speak. Around 3000 hikers started the AT this year of which I was about number 1100. During the day we pass each other, stepping aside for someone faster behind us. We nod to one another, sometimes we stop and talk, other times we keep moving. 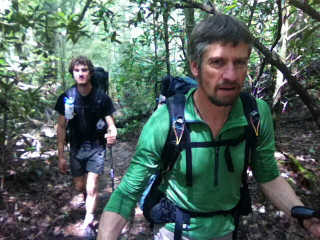 Daffy Duck and Phill I met after the first week and walked for some seven days with. Daffy is now a day or so behind and I have walked with Phill for the past week or so. PJ is another hiker I have spent time with. He walks in Vibram Fiver Fingers which have caught on in the past few years. With thin soles, no support and a separate pocket for each toe, such as a pair of gloves, he walks slowly, carefully and nimbly. You’ll have to read the book to find out what this is all about! Personally I feel in good shape. Having started slowly, as intended, with only ten mile days for the first week or so, I am delighted to report that I have just one, small blister. This is a first, normally after two weeks on trail I have seven on each foot. The plan had worked, small days, taking it carefully, taking care of my feet have produced the desired results. The soles are starting to harden and now I am walking around 20 miles a day with no feet problems. Legs are solid are powering away up the hills with just a little knee pain on the steep descents. Psychologically I’m feeling confident, despite being perhaps 100 miles or so from where I would like to be, after one month I’m happy. We are looking forward to warmer weather, hopefully with less rain and now our bodies are broken in we can only get fitter and more capable as each day passes. Hopefully I’ll have a video for you every two weeks and obviously photos along the way. Having the time of my life, as usual on the trail!